Advertising at Caravans for Sale works! "Just to let you know that, once again, your website has done the job for us and our lovely Bailey has now sadly left the premises! We thought it was going to be a difficult job selling a caravan in the winter, especially in this economic climate, but your speedy attention to our requests for help/updates ensured that this was not the case. I would like to thank you and to say that this is the second time we have used you to sell and once to buy – I am sure we will be back. 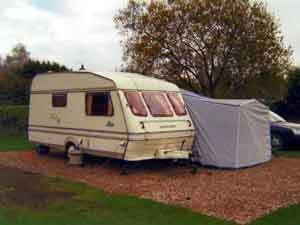 I thoroughly recommend caravans-for-sale.com and am happy for you to use this testimonial to your good work on the website." 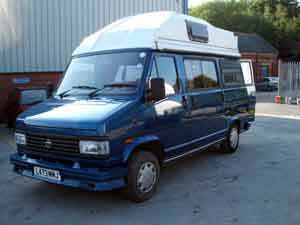 "Thanks for your help.I have now sold the motorhome above to a very nice genuine couple from the Bristol area.Please delete it from your site.thanks again!" 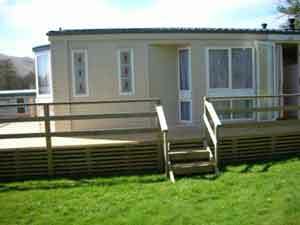 "My caravan sold within 2 days of placing on your website! An excellent result. Yours is obviously the site where serious buyers go. Please remove my advert." 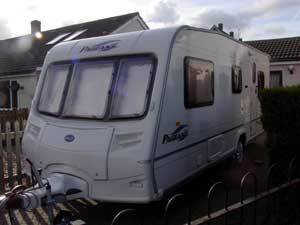 2003 Bailey Pageant Moselle, 4 berth, end bathroom, excellent condition. 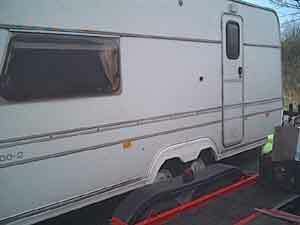 "I would like to thank you for your help in selling this caravan as we have been trying to sell for some time now and since advertising on your website it has taken just over two weeks." 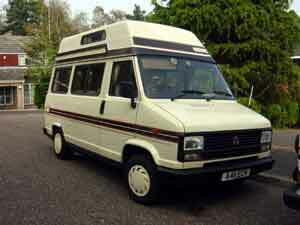 1989 Talbot Express 1000 P, 6 berth, good condition for year. "Just to let you know that Reference c17308 has been sold. Thanks for the advertising that made this possible & could you please remove the advert as soon as possible to avoid further phone calls & e-mails." 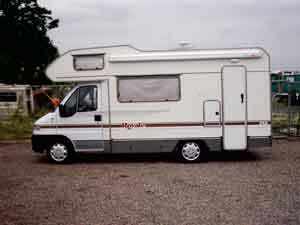 "Please would you cancel our advertisment Ref No 17140, we are pleased to advise our Hymer is now sold. Many thanks for the excellent value for money offered by your advertising medium." 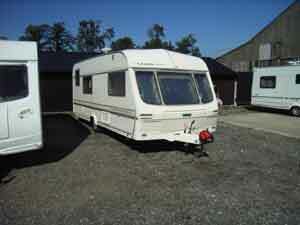 "We are delighted to inform you that we have sold our caravan.It was sold within a week of placing the advert. It has just been picked up. Thanks again." 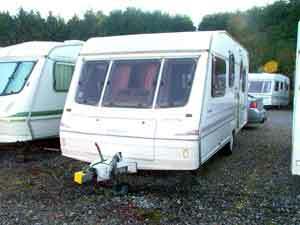 "Please remove our motorcaravan from your "For Sale" listing as we have now sold it - through your web-site. All other methods failed. Thanks." "I have sold my caravan and obtained my asking price within 2 weeks, this at a traditionally bad selling time proves to me that you have an excellent website as it is the second time this year, in July I sold my motorhome after failing on eBay after two consecutive 10 day attempts." "Many thanks for your services, I am pleased to report a sucessful sale of the Georgie Boy Pursuit." 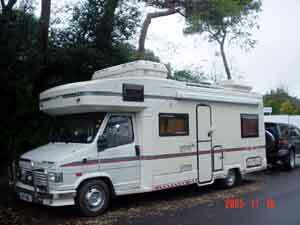 "Motorhome sold, unbelieveable response over the last 4 days no fewer than 5 people chasing it, I will certainly use your website in the future, thanks." "Please can you take the above advert off your site, it was sold within a few hours of it being advertised!!!!! An excellent site for selling, well done and thank you." "Hi there. 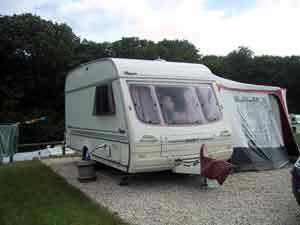 Just to let you know that we have sold our caravan already... it's only been on for a few days! If you can remove it from your website that would be great, it's the 1994 Abbey Spectrum 520 (£2,000) based in East Sussex." 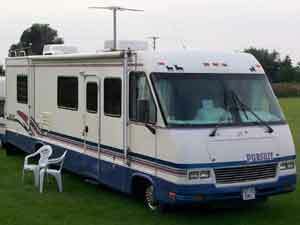 "Dear Sirs, Our carvan has been on your web site for only a short time and is now sold. Please remove it as soon as possible. I would have no hesitation in recommending your site to anybody." 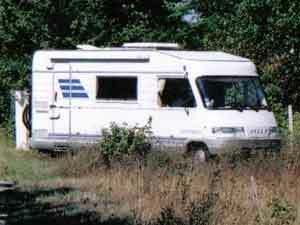 "please can you cancell my advert, thanks to you I've sold my caravan!" "Please remove my ad, as I have just sold my Van, thanks to your site." "Please remove this ad from your site as the vehicle has now sold. Many thank for your facility, I would certainly use it again." As new, under 12 months old, used for 5 days by 2 non smokers. "I placed an ad with you this week. It appeared the first day and was sold, paid in full, the following day. I have had this van with other advertisers for the previous 2 weeks and only one enquiry! 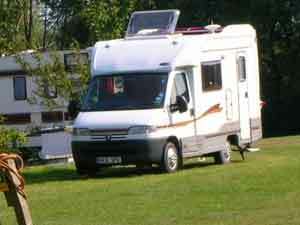 MANY thanks"
"Great, can you please remove C15589 as we have sold it through Caravans for Sale last week. 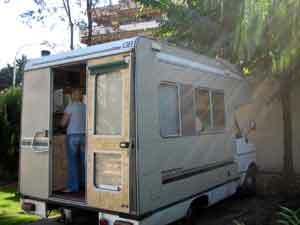 After trying the local press, fish 4 and Ebay we were able to sell it on Caravans for Sale. I have worked in advertising as a media buyer for 5 yrs now and in all my time I haven't found a media offering that has done what it said on the tin so quickly, until now." "Please remove this advert from your listings as we have now sold our caravan. We advertised on Ebay first and spent weeks answering nonsense questions and waiting for people who did not turn up. 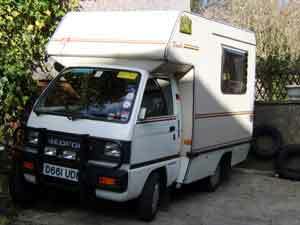 I placed the advert with you and within two days a serious caravanner had contacted me, came to view and bought the van. Thank you very much, would very much recommend your website. " 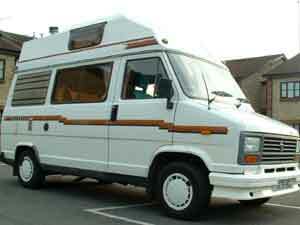 "Please remove my motorhome from the advert, it is now sold. I received phone call within 24hrs of advert being posted,and was purchased by that person when viewed." Scotland. New holiday home in picturesque location. "Just to let you know we have now sold our static. Your web site was the only advertising medium we found that seemed to produce any interest! We had lots of enquiries through your site, and you were very professional and helpful. Trust is SO important when advertising through the internet, and you seem very trustworthy - you do what you say you will do. Thank you. I would definitely recommend your site to others." 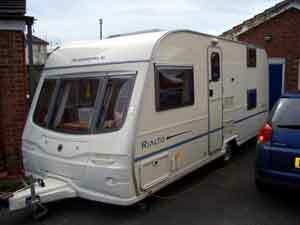 Compass Rallye 430/2 2 berth caravan c/w awning. Excellent condition! 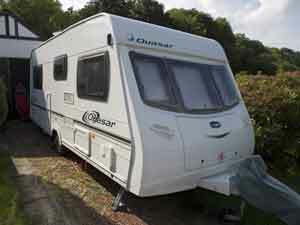 "Hi, I am writing to let you know that I have now sold the caravan listed on your website. 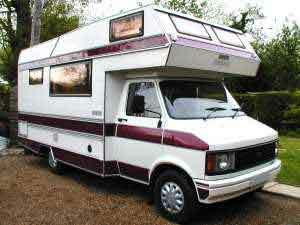 Your website has helped me sell the caravan after failed attempts elsewhere and I am extremely pleased with the result. Your site was recommended to me and I will almost certainly recommend you to others!!" "Please be advised that advert with above ref. no. has been sold. Thank you very much for the speed that these adverts become live, and we recieved a greater response than ad trader or auto trader, we will praise and recomend this site to all we know and we will use you again. Thanks again!" 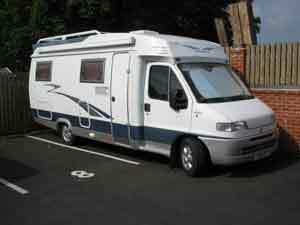 2004 Sunseeker 400RL, Peugeot Boxer, 4 berth motorhome (only 1004 miles!). 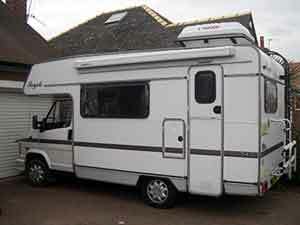 "We have sold our motorhome, please remove from your site. Many Thanks"
"Thank you 'Caravans for sale'. You accepted my advertisment Sunday a.m. 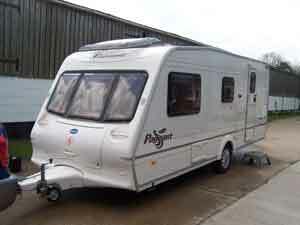 The caravan was sold Monday a.m. Calls came from as far away as the Isle of Man! Thanks a million." 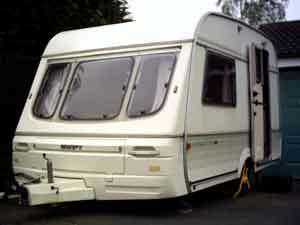 2004 Bailey Pageant Moselle 4 berth, end bathroom , L lounge, A1 condition. "Hi there, please remove the advert from your site as it is now SOLD! We tried ebay, local traders etc but all they offered was basic & below trade. Ebay is a nightmare with so many timewasters & pseudo traders. 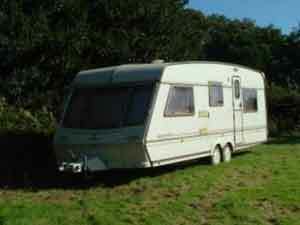 Advert was responded to within days & was sold to a real genuine caravanner at the asking price. 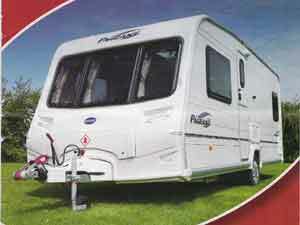 When we return to caravanning in 5 years or so, this is the place to buy one from. Fantastic. " 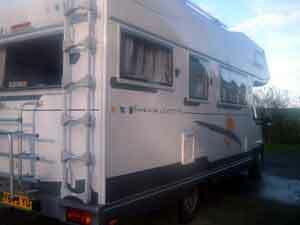 2001 Benimar Europe 6000 STL, Fiat 2.8JTD, 5/6 berth, excellent condition. 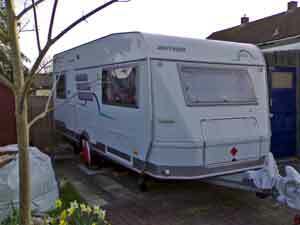 "Could you please remove my advert - the motorhome has been sold thank you"
"THANK YOU I am just letting you know that we have sold our caravan to a person that saw it on your site. The caravan is now in Scotland and the family seem to be enjoying it. The sale was a very quick one, as we have had it on other sites for longer and have had no interest at all from these other sites once again THANK YOU. 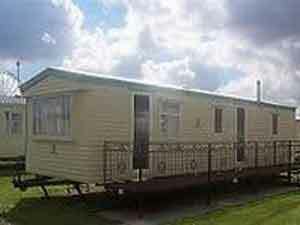 Could you now remove the said caravan from your site please. " 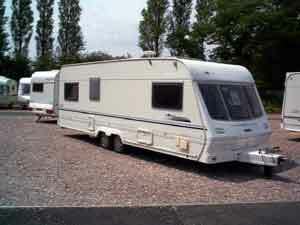 Delta Nordstar 2003, 6 berth, full length decking, excellent condition. 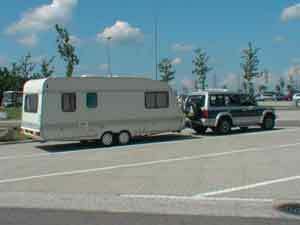 "I'm emailing to advise you that we have now sold our caravan and to request that you take the advert offline. Many thanks for an excellent sevice." "I cannot thank you enough. My caravan advertisement was obviously seen by a large number of prospective buyers. I estimate that could have sold it three times over! 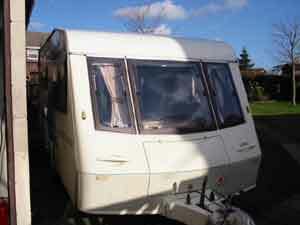 Excellent value"
1991 Lunar Delta 500/2 twin axle, two berth, good condition. 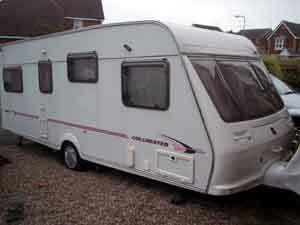 "This is to let you know that our caravan advertisement was very successful and I have today sold my caravan. May I take this opportunity to congratulate you on the service and I will certainly recommend you to others. Thank you very much." "Please remove my advert. 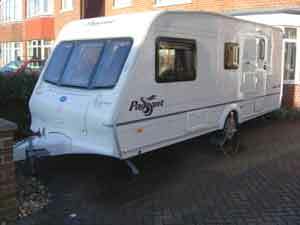 Motorcaravan now sold. Brilliant site. Could have sold it three times over." 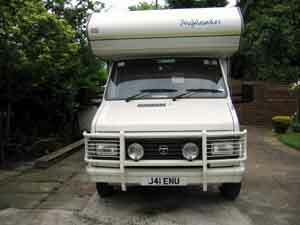 "Please mark the above advert for Autotrail Cherokee Motorcaravan as "SOLD". 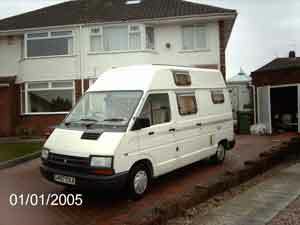 Thanks to YOUR site this van has now been sold for its asking price. Also just to say out of all the sites doing similar ads yours is the best, being unclutterd and to the point, very well laid out. I will not hesitate to recommend your site to my friends. Thank you and best regards." 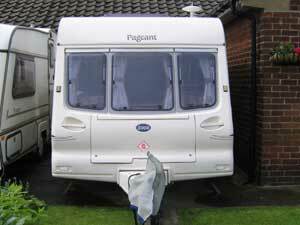 "please take my bambi off now as i have sold her thanks 2 you "
Bailey Delamere 500/5, 5 berth, middle bathroom, all accessories included. 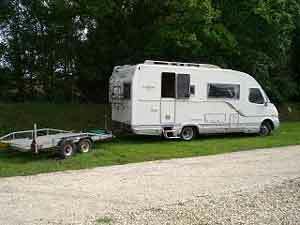 "Dear Sir/Madam, Our caravan has now been sold, therefore we would be grateful if you could remove the advert from your website. We are extremely happy with your service." 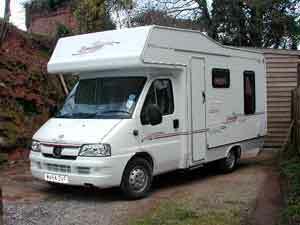 "Just to let you know that we've successfully sold our motorhome through your site, so could you please remove it? Thank you very much for helping us in achieving this." 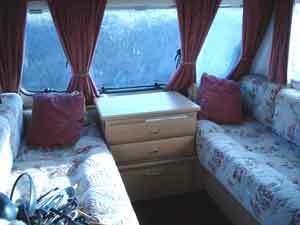 1982 Bedford Motorhome 4 Berth, bathroom, good condition. 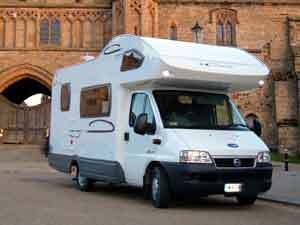 "We have successfully sold our motorhome through your site. Could you please remove the ad. Thanks." "PLEASE NOTE I HAVE SOLD THE ABOVE VEHICLE SO PLEASE REMOVE IT FROM YOUR SITE." 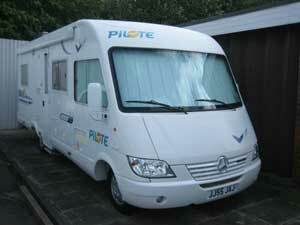 "I have sold my kon tiki motorhome now which is advertised on your web site. I am advising you, so you can remove it from sale. Also just to say thanks very much for advertising it for me. " 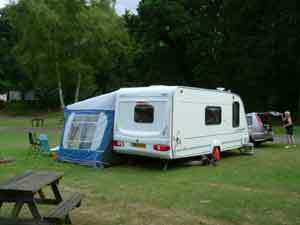 "Please note, our caravan is now sold, through your web site. Thanks again for the very professional way you handled this sale, and the fast response to your web site, sold within 4/5 days"
"just to let you know we have sold the caravan and the advert can now be removed.we were impressed with the site and recieved quite a few enquiries.we would certenly recommend the site to others.thanks again "
"our motor home has sold, through your website. Thank you very much!" 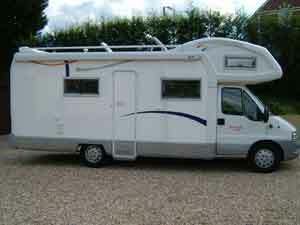 "just to let you know that we have sold our motorhome I would like to say thankyou for the good service that you have given us." "this van has now been sold via your site. 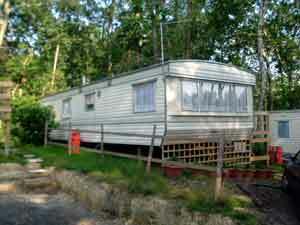 many thanks for your help "
"This Unit has now been sold thanks to being advertised on your site, many thanks." 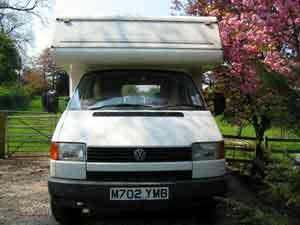 Want to sell your caravan or motorhome quickly and without fuss? Click here to place your advert now!